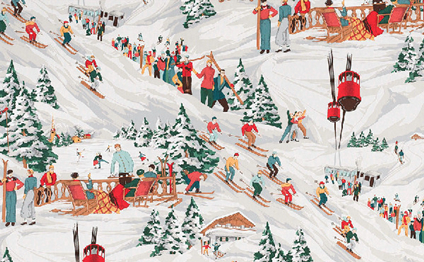 As a fan of retro ski style, I love Pierre Frey's chalet fabrics. 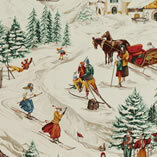 In fact, Pierre Frey has given us not just one, but two spectacular vintage ski fabrics. 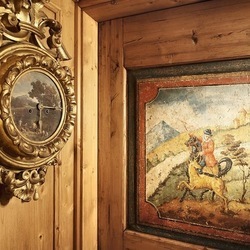 The original favorite, called Tyrol, has an early 20th century style with wooden skis, sleigh rides, Tyrolean costumes and snow covered chalets. 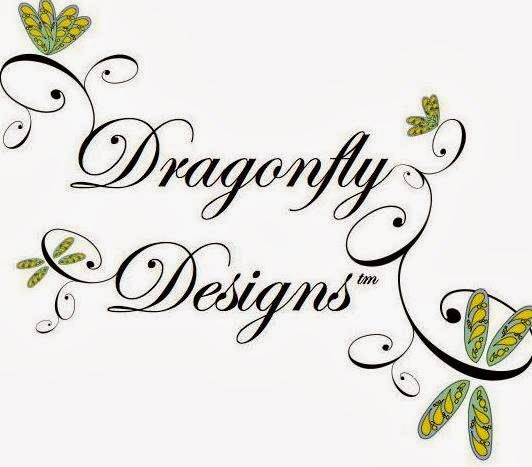 It's utterly charming and has always been a favorite with us at Dragonfly Designs. 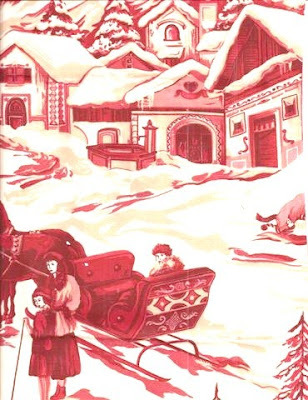 Pierre Frey's Tyrol in color 01. So adorable! 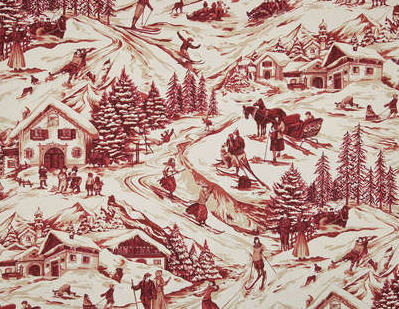 In more recent years, Pierre Frey introduced a second more retro fabric called Les 3 Vallees which has a 40's vibe. The skis are still wooden but the clothes are mid-20th century. And in this fabric, we even have trains and gondolas. It is every bit as charming as Pierre Frey's Tyrol, but the overall feeling is entirely different. Pierre Frey's Les 3 Vallees. 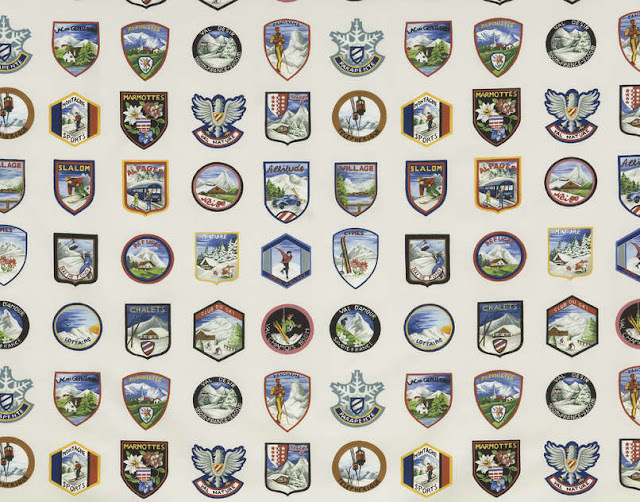 A wonderful 1940's ski world. Of course, having these two fabulous vintage fabrics to choose from can create a decorating conundrum...do we go 40's or 20's? Sometimes life is just difficult, right? Both fabrics are printed on 100% cotton. And when Pierre Frey creates a print, he goes all out using many gorgeous colors, layered luxuriously one upon the other to give the design depth and richness. You really have to hold these fabrics in your hand to truly appreciate the quality of the materials, design and printing techniques. For cabin and chalet owners with larger budgets, these fabrics make up beautifully into curtains, bedspreads, headboards and toss pillows. 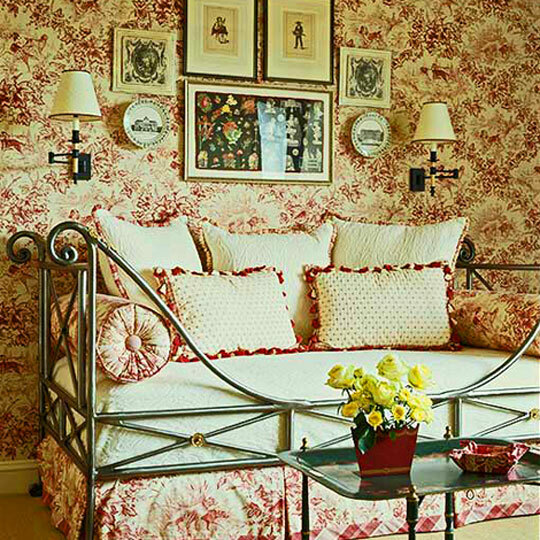 In fact, if budget is absolutely no issue, go crazy, and use them in a bedroom like a traditional French toile--upholster the walls, all the bedding and any upholstery in them. Now that would be an amazing bedroom, indeed! An example of the way French toiles are traditionally used...one fabric everywhere. 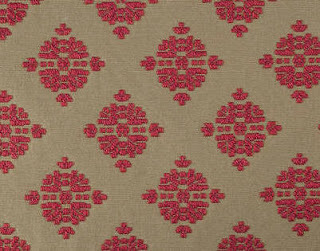 If you are more budget-minded, simply upholster the headboard or make up Euro shams in either of these fabrics. Then just mix and match them with affordable store-bought bedding. This approach can elevate any bedroom and give it a custom designer look. In living rooms, I would select a thicker woven fabric for a sofa. 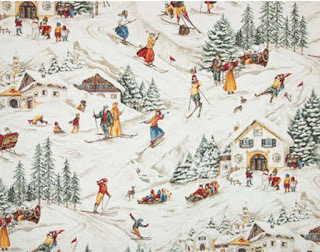 However, I have used these vintage ski fabrics in the past on upholstered chairs that get infrequent use, as well as on many a toss pillow, of course. As for curtains, I always love curtains in mountain rooms as they soften up the hard wood and rock surfaces and add a coziness and warmth to rooms. 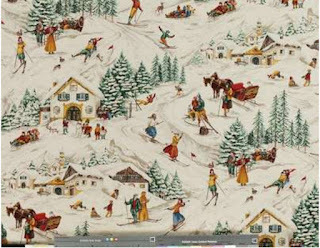 Pierre Frey Tyrol or Les Tres Vallees curtains in the great room? Yes, please... either will do nicely, thank you very much! Money stretching tip--Especially for those on a budget, splurging for a few yards of Pierre Frey to make toss pillows is well worth the expense as these will add much beauty and character to your room. Tyrol pillow. Small bits of fabric can add big impact! An inviting place to cuddle up and gaze out at the lake. Here, Pierre Frey Tyrol was used in one of my client projects years ago on two identical chaises placed side by side in front of a spectacular view window in a Tahoe home. The chaise fabric was a Ralph Lauren, now discontinued. By the way, Tyrol comes in two colorways which are almost identical, 01 and 02. 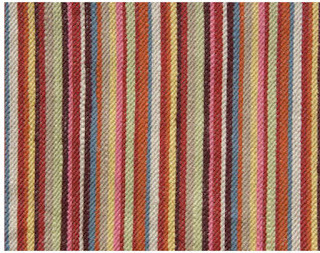 Pierre Frey also makes available a number of coordinating weaves, small patterns and stripes which only add to the delightful-ness of any room lucky enough to feature Tyrol or Les 3 Vallees. Some of our favorites are shown below. 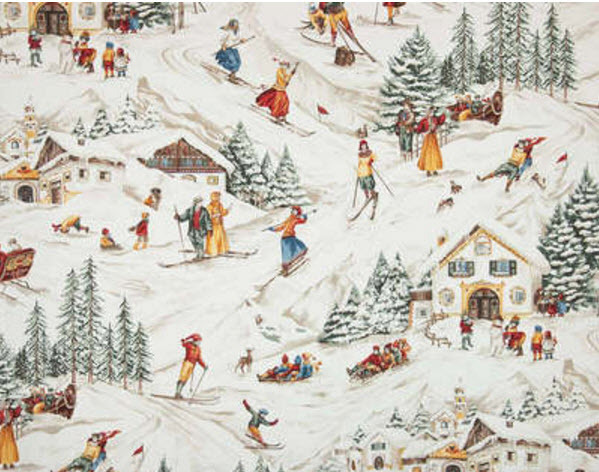 One other Pierre Frey ski fabric you might enjoy is called Eidelweiss Grand and consists of a charming collection of vintage ski patches. 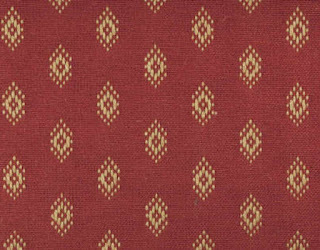 Anatolie Rouge Ancien--a tough woven fabric that would work beautifully on a sofa. Khea rouge. 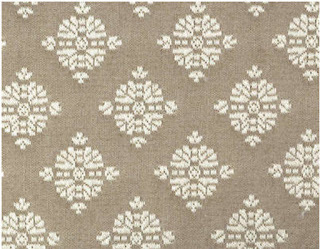 An upholstery weight small pattern with delightful embroidery. Camargue Ecre Rouge. 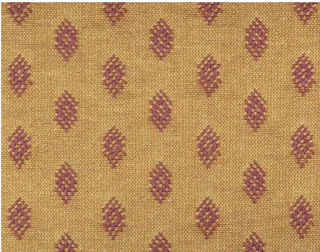 A durable small patterned linen, great for curtains, bedding and light upholstery. Rayuyre Caravane. 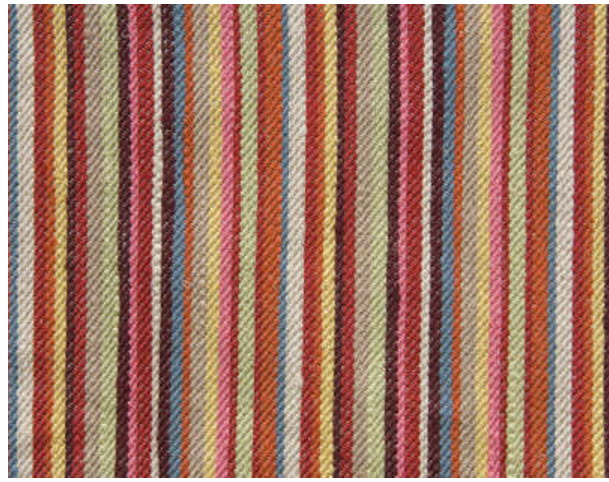 A small scale stripe in linen and viscose. Great for upholstery, curtains and bedding. Patiala ocre. 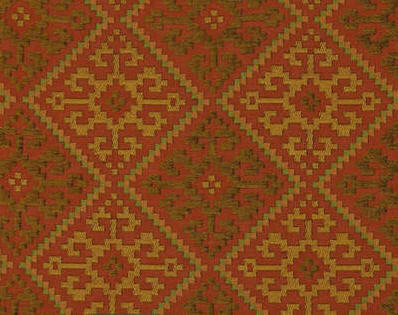 A pretty fabric from Pierre Frey's Eastern European ethnic collection. A favorite. There's another way to go with these fabrics, however, and that's the subtle route. Why not let them be heroic in a quiet cream and beige room? 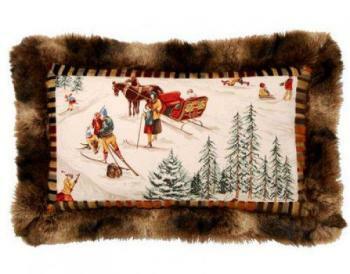 Although we love Tyrol and Les 3 Vallees, Pierre Frey has created many more fabulous chalet fabrics. 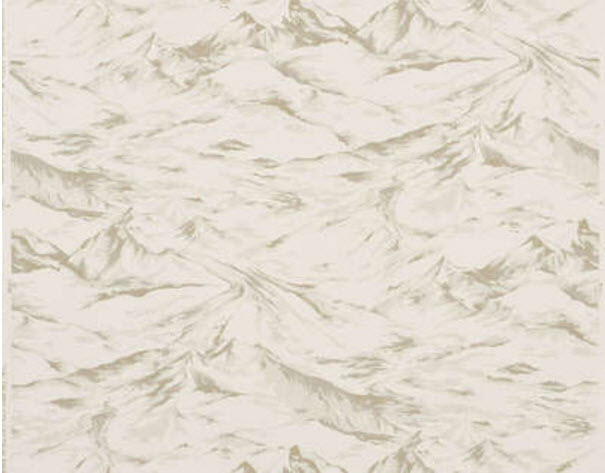 If you would like to take a look at all our favorite Pierre Frey fabrics for mountain houses, see here. 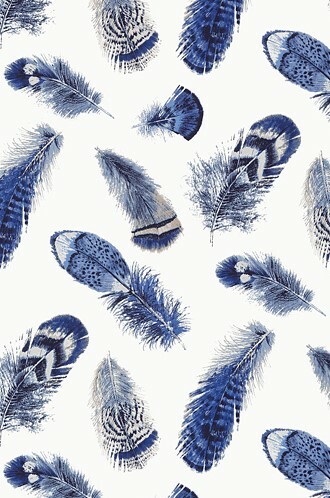 If you'd like to have samples of these or any other Pierre Frey fabrics, we love to send them to you. 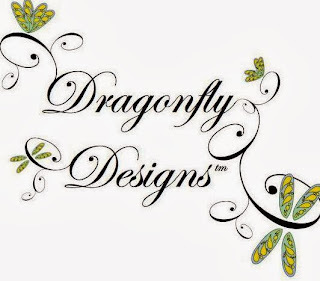 Just click on any of the fabrics above and follow the instructions to email or call us to request samples of your favorites. 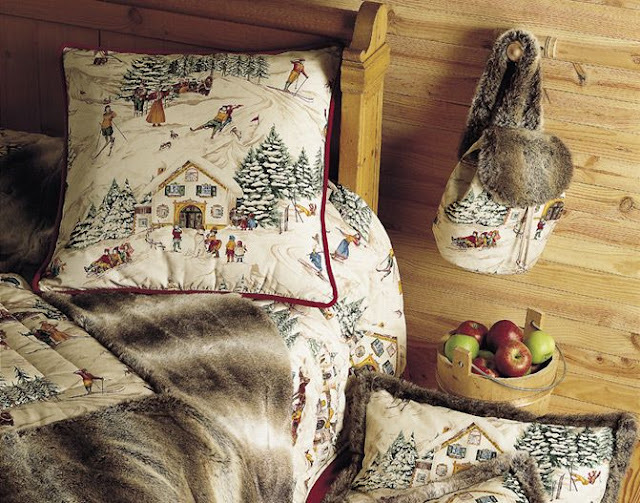 We are always happy to send you the samples you need to create a beautiful mountain home. We can also recommend and help you put together fabric combinations that will sing together in your home. It's our favorite thing to do, of course! And that goes double when it's Pierrre Frey.